Warm sunny weather added to the enjoyment of A.O. Smith’s UK customers who recently took part in the annual golf tournament held at the Gendersteyn golf course in Holland. 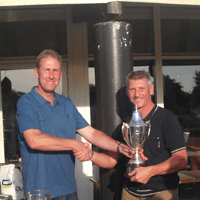 The winner of the challenge cup was Martyn Smith from JSH Consulting, who beat last year’s winner Peter Miller along with 17 other finalists who had qualified from regional UK events. 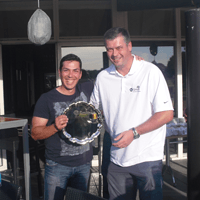 In addition eight customers were invited to compete in the customer cup which was won by Andres Alonso from Hilson Moran. The three day event included a tour of A.O. Smith’s European manufacturing headquarters in Veldhoven, followed by two days of golf on the championship parkland course. 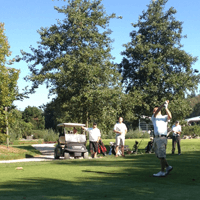 The majority of players were specifiers or consultants, and all were keen to take part in next year’s tournament. Qualifying events take place in the UK in the first half of the year, with the winner from each regional match invited to play in the finals in Holland.